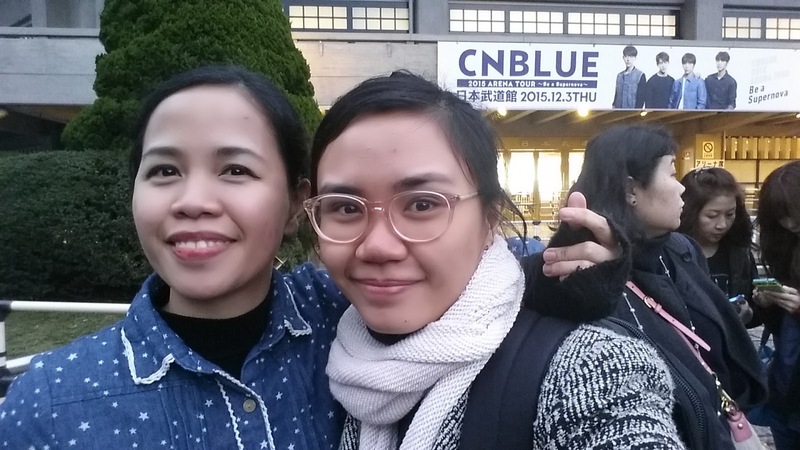 One of the most exciting item on my 2nd trip to Tokyo's itinerary is attending CNBLUE's concert. I did not plan it, the stars just aligned LOL. I've always daydreamed about watching their concert in Japan but I'm not yet on a rich fangirl/noona level where I can fly in for their concert. 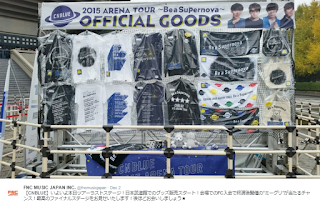 Sometime in September, after releasing their 4th Japanese full album "Colors", they also released the schedule of their "Be A Supernova Arena tour". 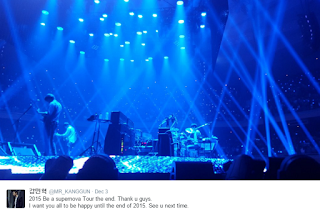 I was over the moon when I saw a concert stop on December 3 and in no less than the historic Nippon Budokan. 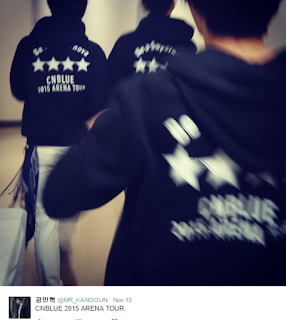 CNBLUE was only able to hold concert there last year for Wave tour and YongHwa also had a "One Fine Day" stop there. It is THE place for artists, similar to Smart Araneta Coliseum or Mall of Asia Arena for Philippines. So, I'm so excited because it's also the last stop of their 5 Japan cities tour and like any other CNBLUE live, it will be epic! The stars aligned because I booked that Tokyo trip 6 months ago but I realized that being in Tokyo during their concert period is just the 1st stage. Along the way, I learned that its not enough that you're in Tokyo, that you want to watch their concert and you have Yen to spend for ticket. I reached out to Japanese Boice on Twitter to ask them to give me leads on tickets. It turned out that FNC Japan takes the fan club seriously, FC members are the priority for the tickets and yet they can't choose the seats because the assignment will be done through lottery. A kind Boice (name of CN fan club members) was supposed to buy a ticket for me but she got an Osaka ticket and I'm not yet in Japan during the concert date. After that, I've done a lot of research, there were resellers on the major ticketing sites but its 5X the original price and will amount to PHP30,000 when converted to local currency. I almost gave up but I realized that it's more expensive to go back to Japan again to watch their concert. 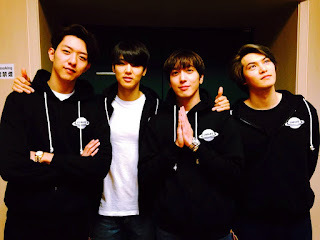 I researched through Twitter again and reached out to Boice who already watched the concert in Japan. To make the story short, a Twitter contact referred her friend who got an extra ticket. Yay! Two weeks before the concert date, I also managed to buy another ticket for my sister. The good thing is that we can pay for it during the concert day. December 3, 2015 - Concert day!! I managed to free up this day, I sent my parents & siblings to DisneySea while my friends went to Universal Studio in Osaka. The concert starts at 6:30PM but my sister and I will meet our Twitter friends at around 4PM for the tickets. After alighting the train,we already noticed the long lines on restrooms so we decided to go straight to the venue. It was fairly easy to find Budokan, the map was useful and we ended up following the stream of people wearing CNBLUE merchandise haha.The merchandise booths were located near the entrance gate and I ended up buying a jacket. 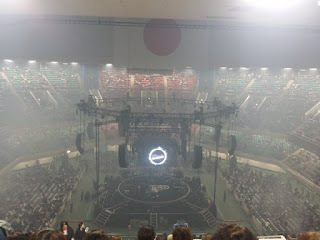 At 6PM, we're allowed to enter the venue and as expected in Japan, I along with 13,000+ did it calmly and orderly. This is actually the only photo that I took because they're strict about the no cameras policy and I totally get them. I had the best sensory experience because when you don't have the option, you wont feel obligated to capture every moment instead of enjoying it. I ended up sitting with a Thai Boice friend while my sister is in a nearer row with a French Boice. Daebak! That's how I will describe the entire experience. I loved watching them perform the songs live, "Supernova" feels different and was very impressive as opening song. Again, CNBLUE ate the CD! It's great to listen to the Korean classics "I'm a Loner", "Can't Stop", "LOVE" and "Love Light" plus the classic Japanese releases "Where You are", "In My Head", "Lady" and "Try again, Smile again". Finally, I got to watch them perform "Stay Sober" and "Radio" my favorite songs from past albums. Their latest Korean single, "Cinderella" was intense, live! 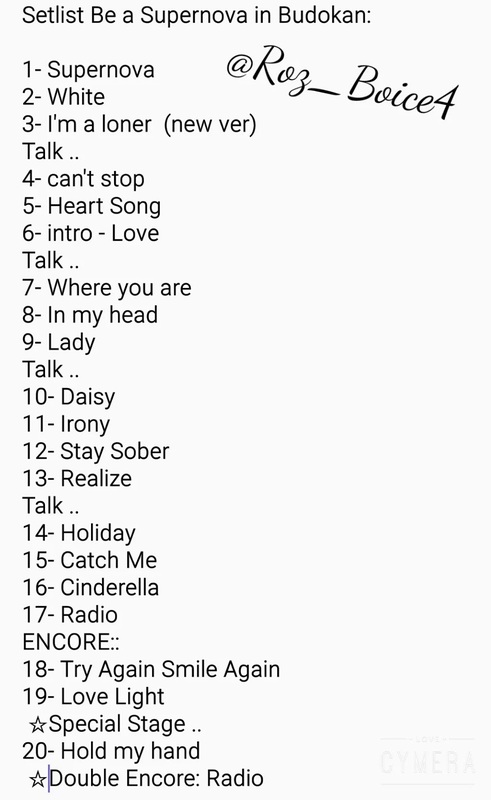 They performed the new songs from Colors album, JungShin's present-o "Daisy", JongHyun's "Irony", "White" (I'm still lukewarm about this song), "Holiday" (transformed to a rock song), "Hold My Hand" and "Realize". I'm listing my favorite moments and inserting some photos posted by MinHyuk. When the lights were turned off, the entire arena became an ocean of blue light sticks! The surprise of the night is that they used THE rotating stage with the band's logo in the center. For the other 7 concert stops, they used a stage with widescreens. They only used this setup for "392" and "Wave" tour. During the first song, our view is MinHyuk's back but as it rotated we've see different views, JongHyun/JungShin/YongHwa facing us. 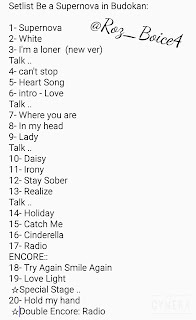 This is the holy grail of their performance - in Budokan, with rotating stage and the last stop of the tour! The production, lighting and effects were awesome and definitely added to the excitement, as if we're not yet pumped up for CNBLUE!! 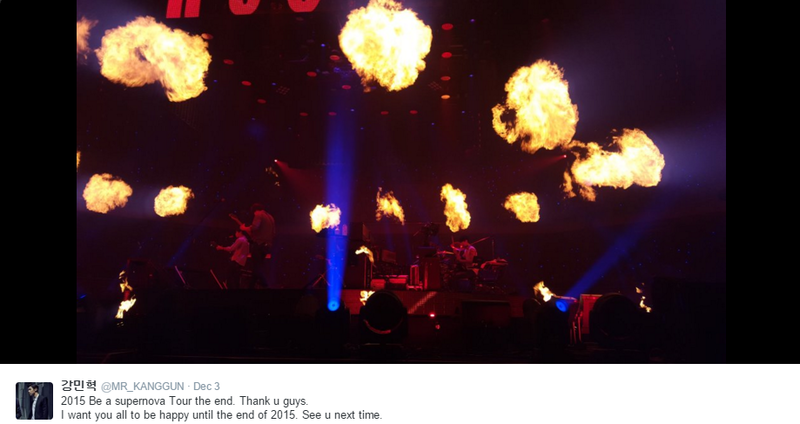 The lighting for "Realize" and the fires in "In My Head" were very memorable to me. I was thinking, how come the Asia tours are not this grand! =)) I also remembered the part where Yong asked us to close our eyes and he sang without a mic. My seat was on the uppermost part but I heard him sang loud and clear! The special moments were the rare double encore and when they switched their instruments, YongHwa on drums, MinHyuk on keyboard & vocals, JungShin on Guitars and JongHyun on bass. Honestly, on the 2nd "Radio", I was so tired and hungry =))) so I was both sad and happy when YongHwa said that it's really the last last song! I felt that CN boys were very comfortable in communicating in Nihonggo especially JongHyun because it's their second language as they lived in Japan during their indie days. I was able to grasp some of the talk part and I'm very lucky that my companion was kind enough to translate the conversations, after she laughed =))). I can finally tick this off my bucket list!